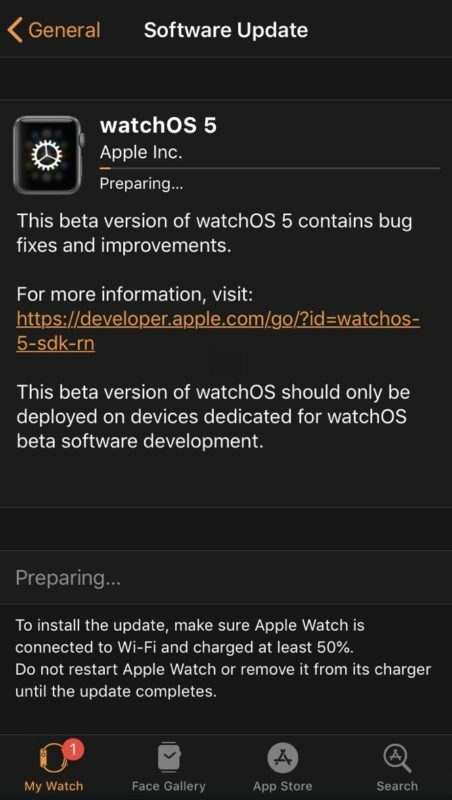 If you own an Apple Watch you’re probably already familiar with the relatively slow process of updating watchOS on an Apple Watch. Some simple updates may install in a reasonable amount of time, but some of the larger watchOS updates can take an hour or much more. As a result, many Apple Watch owners will either postpone software updates indefinitely or install software updates to watchOS overnight, or when they know they won’t need their watch anytime soon. But there’s another option, and you can actually speed up the watchOS software update process quite a bit by using a little trick. Essentially you’re forcing the iPhone and Apple Watch to use the speedier wi-fi connection to transfer the watchOS package between devices, rather than the much slower Bluetooth. Note you can’t just toggle Bluetooth in the Control Center because of how the Bluetooth and Wi-Fi Control Center buttons function in modern iOS releases, which just disconnect devices rather than turning off the service – that’s why you have to go to the Settings app to turn off Bluetooth on the iPhone. This nifty trick comes our way from iDownloadblog, so cheers to them for the helpful tip. Let’s hope a future version of watchOS or the Apple Watch iPhone app allows users to install updates through wi-fi directly without this workaround, but until (or if ever) that happens, you can simply toggle Bluetooth off on the iPhone and you’ll find the updating process is much quicker. Did this work for you to speed up your Apple Watch software update process? Do you have any other tricks to expedite watchOS updating and downloading? Share your experiences in the comments below! Reduced expected time from 3 hours to about 30 minutes (Thanks) but then had to resynch watch and reset as a new watch. If this is the best apple can do they should be totally ashamed. Last apple watch I get that’s for sure!